A major discovery by US researchers – previously unidentified vessels that directly connect the brain with the immune system – could aid in studying and finding treatment to such neurological diseases, as autism, multiple sclerosis, or Alzheimer’s. 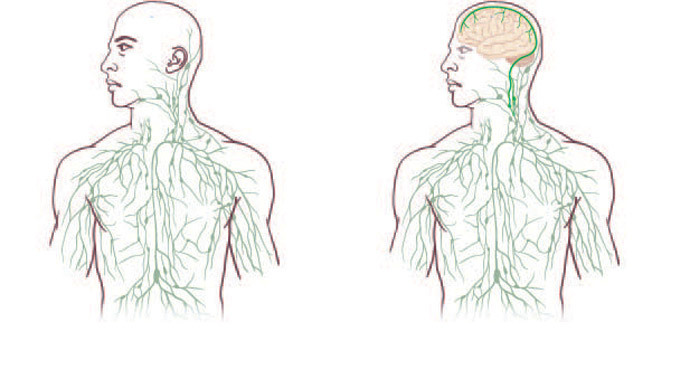 “Overturning decades of textbook teaching” with a breakthrough in human body mapping, researchers at the University of Virginia School of Medicine have identified vessels in the lymphatic system that were previously not thought to exist. The results of their work have recently been published in the journal Nature. A postdoctoral fellow in Kipnis’ lab, Antoine Louveau worked on the mouse brain, studying meninges – the membranes within the skull cup. He noticed vessel-like patterns and found out that they belonged to the lymphatic system. Now the scientists can suggest theories explaining complex brain diseases. “In Alzheimer’s, there are accumulations of big protein chunks in the brain,” Kipnis said. “We think they may be accumulating in the brain because they’re not being efficiently removed by these vessels." According to the team, the discovery could completely change our views on neuro-immune interaction by linking mental health with the state of the immune system. “The connections described are between the coverings of the brain and the immune system, rather than the brain itself and the immune system. The methodology is very impressive, but the findings need to be interpreted with caution in the context of diseases affecting the brain tissue itself,” Roxana Carare, an associate professor of cerebrovascular ageing at the University of Southampton, told the Guardian.